Once a year, I would go on a short trip where I take only one of my kids with me so that we could spend some good quality time together. Personally, it is a way to give that child attention without having his/her sibling vie for my time. My last one-on-one trip was with my daughter to Japan in Dec2012/Jan2014 period. So this time, I planned something for the little boy. 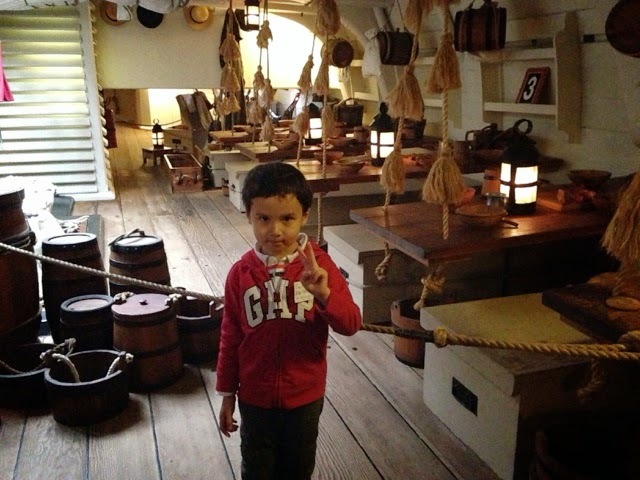 I went to Sydney alone last year and when I passed the Australian National Maritime Museum, I knew it was somewhere the boy would be thrilled to visit. I told my girlfriend, whom I was staying with, that I would definitely have to bring him with me one day.... and the opportunity came when Scoot had a $24 promotion a few months ago! 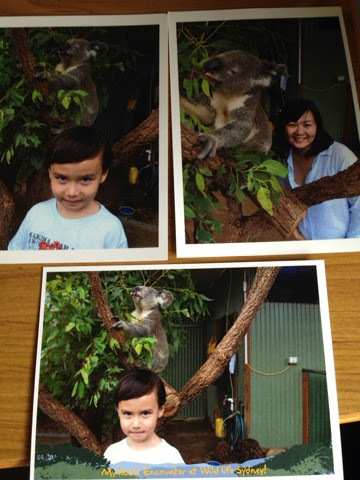 I managed to get on the site and found a pair of return tickets to Sydney for less than S$400! WOW! It was too good a deal to miss. So, I went ahead to book the trip for the two of us in the month of Feb/Mar and about two weeks ago, we finally made the trip! As usual, for the flight, I prepared some toys and activities for the little one. As the flight into Sydney was a red eye flight, I knew the boy would probably sleep through most of it and thankfully, he did. He was in a good shape when we arrived in Sydney. I had booked us into Meriton Campbell Street for the first nights in Sydney and it was a very pleasant place. It had a little kitchenette and so well located, near to Chinatown and Haymarket where there are lots of restaurants and shops. After we checked in and had a little rest, we set off for the Australian National Maritime Museum. I was totally right! 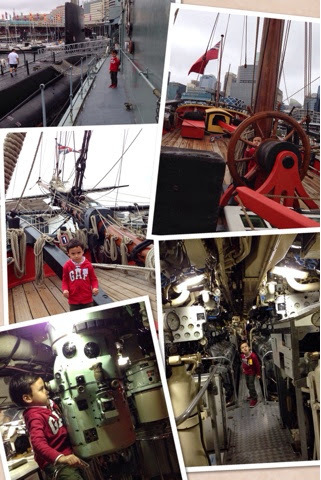 The little boy had such an awesome time walking inside the submarine, going on Captain Cook's ship etc. After the visit, we stopped at the restaurant Bluefish along Darling Harbour. We were not looking for anything in particular but the fish and chips there were spectacular. It was a great find! 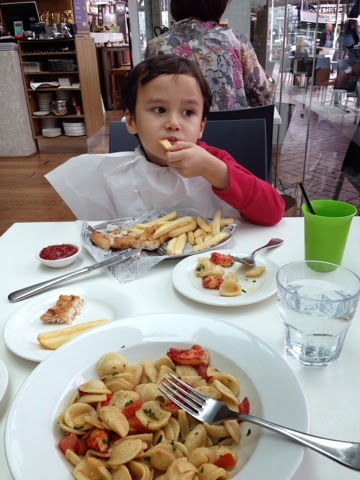 Now, prices in Sydney are a little on the high side but for lunch time, they have reasonably priced sets and the kids' meal are worth every cent. On the second day we had dimsum in Haymarket and unfortunately, I was not impressed. Oh well. We checked out and prepared to be picked up by my girlfriend as we were driving to Nelson Bay. We took almost 3 hours to get to Nelson Bay and by the time we got in, it was almost evening. We quickly checked into the hotel and set out to planned out the activities for the next two days. On the top of the list was going on one of those cruise out to see dolphins. And so, we booked the trip for the next morning. 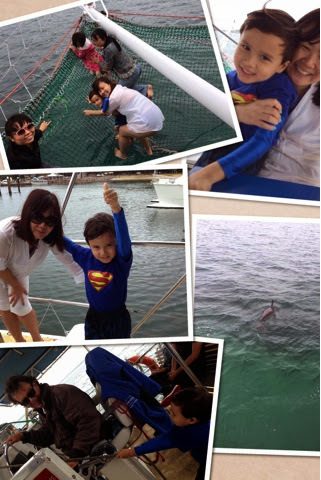 Trip out to see dolphins. 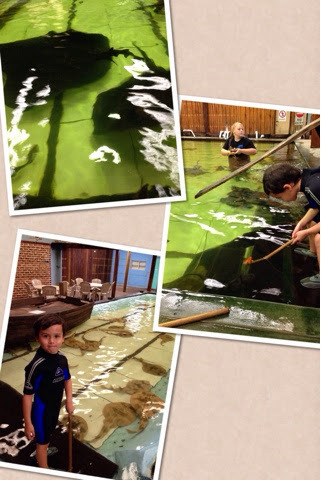 After that, for the afternoon, I decided on a visit to the Australian Shark and Ray Centre. It was quite an interesting experience getting to feed and pat the rays and sharks. Some of the rays are really huge and quite honestly, very intimidating! The place may seem a little run down but we had a good time. The staff were friendly and seemed to really care about the fishes. The next day, we prepared to drive back to Sydney and along the way, there was a museum for planes called Fighter World. Boys would love this museum. You get to sit inside a cockpit of a fighter plane and see up close various types of fighter planes. 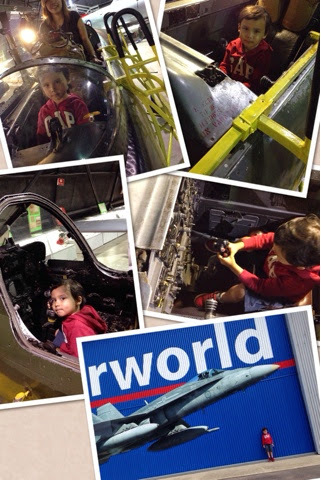 If you are driving from Sydney to Nelson Bay, I would definitely recommend a detour here if you have little boys or even girls who are intrigued by fighter planes. And so we got back to Syndey and this time, we checked into Mercure Sydney as they had a promotion going on. Now, if we do come visit Sydney again and the prices of the two hotels are comparable, I would choose to stay in Meriton Campbell Street. By comparison, the latter is a nicer hotel with much better location. On our last full day in Sydney, we did not plan to go too far out. 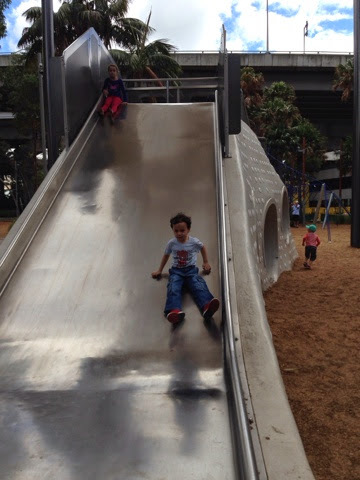 So we found ourselves in Darling Quarter Playground and the Sydney Wild Life Zoo. The playground is one of the best I have seen in the centre of any city. We spent at least a good hour there. 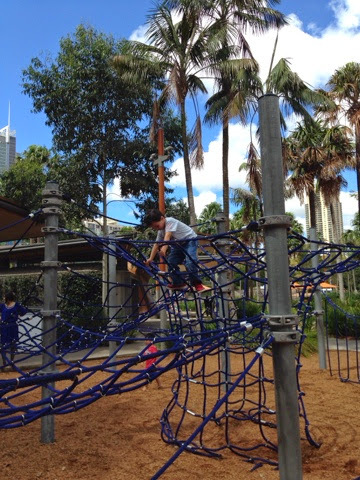 Check out Loic on the flying fox and having fun in the park! The Sydney Wild Life Zoo is conveniently located for those who do not want to make the trip out to the Taronga Zoo. It has enough attractions to keep the children occupied and captivated for a couple of hours. 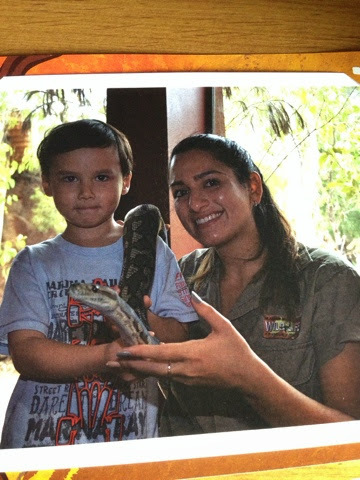 We managed to go close to the Koala, see the crocodile being fed and the boy even held a snake! And so, that concluded our five days trip to Sydney. We had so much fun we spoke about bringing papa and jiejie the next time we go!